Posted on February 28, 2019 by Barbara H.
The end of February closes the Laura Ingalls Wilder Reading Challenge for this year. I hope you had fun with it, and I look forward to hearing about what you read! A week from today I’ll use random.org to draw a name from the comments on this post to win either The Little House Cookbook compiled by Barbara M. Walker, Laura’s Album: A Remembrance Scrapbook of Laura Ingalls Wilder by William Anderson, The Little House Coloring Book, or a similarly-priced book related to Laura. A week should give some of us who are still reading time to finish up and post about our reading. You don’t have to have a blog to participate: you can tell us what you read in the comments here. If you have a blog, you can either let us know what you read in the comments or share the links back to any reviews or challenge-related posts from your blog or even from Goodreads if you review books there. Due to shipping costs, I’m afraid I can only ship to those in the US, unless you’d like a Kindle version. There are only five poems in the book, spread out over several pages with a number of illustrations. The poems are very old-fashioned, naturally, as they describe the various activities fairies are involved in. I’m not normally into fairy poems, so I don’t know how they would measure up for young readers today. Honestly, I didn’t care for the illustrations much. I think I would have preferred lighter colors, maybe a watercolor effect. I liked the detail of the plants and animals, but not the fairies and people. Have you or your children read this book? What did you think? The Laura Ingalls Wilder Songbook compiled and edited by Eugenia Garson. The copy I checked out from the library looks like the one above, but I saw other copies on Amazon with a Garth Williams illustration of Pa with his fiddle on the front. What I appreciated most about this one was Garson’s research. She looked up every song mentioned in the Little House books, provided a few sentences of background for it (when it could be found), and a quote from the LH book where it was mentioned. Sheet music is provided for all the songs, making me wish I could play the piano enough to pick out the tunes. I was familiar with just a few of them. This would be a nice resource for anyone wanting to learn more about music from this era. I also read On the Way Home and The Road Back by Laura Ingalls Wilder. These two books have been packaged together with West From Home, Laura’s letters to Almanzo while visiting Rose in San Francisco for the World’s Fair, into one volume called A Little House Traveler. Since I had read West From Home a few years ago, I did not read that one at this time. The first is Laura’s record of moving with her husband and daughter by covered wagon from South Dakota to Mansfield, Missouri; the second is her journal of traveling back to South Dakota to visit her two remaining sisters 40 years later in an un-air-conditioned Buick. I reviewed them here. I also wrote Why Laura Ingalls Wilder Is Still Worth Reading because some question whether she is any more. No, she and her family were not perfect. But we can still learn from them. That’s it for me. How about you? Remember, leave a comment on this post about what you read or did for the challenge before Thursday of next week to be eligible for the drawing. Update: The giveaway is closed. The winner is Rebekah! Congratulations! Posted on February 26, 2019 by Barbara H.
I read two short books about Laura Ingalls Wilder’s travels as an adult. They weren’t written with an eye toward publication, at least not in the form she left them. They were just travel journals, notes she made for herself along the way. Perhaps she just wanted to remember certain things about her trips, perhaps she wanted to note details for letter-writing, or perhaps she did plan on incorporating some of the information into future articles or books. But since she did not start writing for publication until seventeen years after her first trip, it seems more likely that these were just notes she kept for herself. Both were published after her death. The first book, On the Way Home, details Laura’s move with her husband and daughter from De Smet, South Dakota to Mansfield, Missouri in 1894. Laura’s daughter, Rose, who was seven at the time, provides an introduction and ending to set the context from her vantage point as a child. Rose had had to stay with her grandparents (Ma and Pa Ingalls) while her parents had diphtheria. Dire prediction were forecast about their health, but they survived, although Almanzo walked with a limp the rest of his life and “was never as strong as he had been” (p. 8). In addition there was a worldwide “panic,” which Rose explained was different from a depression. For these and various other reasons, the Wilder family decided to move, traveling with anther family, the Cooleys. Rose shares details of some of their preparations, like Laura’s sewing to make money. Once Laura “made sixty good firm buttonholes in one hour, sixty minutes; nobody else could work so well, so fast. Every day, six days a week, she earned a dollar” (pp. 11-12). I enjoyed seeing a few glimpses of the Ingalls family through Rose’s eyes, like her “aunt Grace, a jolly big girl,” singing “Ta-ra-ra boom-de-ay” (p. 9). After the family got their covered wagon ready, packed it, and said good-bye to their loved ones, the narrative shares Laura’s notes. Often she jotted down little details like the price of crops, landscape conditions, places they found to bathe or trade, and the weather. (The first day, their thermometer showed 102 degrees inside the wagon!) Of course, as with any trip, there were various mishaps, like a horse running away, causing a later start one day. Some of her most interesting notes involved the people they met along the way, like a Russian settlement. Laura’s notes end just after the family’s arrival in Mansfield. Rose takes up the narrative again, describing her father going out every day to search for just the right spot. When he found it, the family dressed up to take the $100 bill they had hidden in Laura’s writing desk to the banker and buy the land. But the $100 was missing. Rose was highly offended that her parents asked her if she had told anyone about it or played with the desk. Since they could not find the money, Almanzo looked for work for a few days while still keeping an eye out for an ideal property. Finally they found the $100 and bought what they later named their Rocky Ridge farm. You do such things, little things, horrible, cruel, without thinking, not meaning to. You have done it; nothing can undo it. This is a thing you can never forget (pp. 106-107). I wished for an artist’s hand or a poet’s brain or even to be able to tell in good plain prose how beautiful it was. If I had been the Indians I would have scalped more white folks before I ever would have left it (p. 30). She wasn’t wishing the Russians harm, because she had enjoyed her time there. Looking at it again just now, she seems to be saying if she lived there, she would have put up a fight rather than leave the area – or perhaps she understood the Indians fighting to stay on their land in a way she had not when she was a child. The Road Back contains Laura’s notes made some forty years later on a trip back to De Smet to visit Carrie and Grace, the only remaining family members. It was interesting reading this right after the previous book, because they covered the same ground, only going the opposite direction, in an un-air-conditioned Buick instead of a covered wagon. Laura was 64 and Almanzo was 74. I marveled at how many times Laura remarked on the good dirt or gravel roads. Some roads were made of cement, but many were not: yet in that day they still beat the trails or prairies they had come in on. They had not been back in the forty years they had lived in Mansfield. Laura had written Little House in the Big Woods, but it had not been published yet. So she was not well known as a writer at that point except for her columns for the Missouri Ruralist. Once again Laura detailed road, weather, crop, and economic conditions of the places they traveled through. She also listed their travel expenses: their first night on the road, they spent $3.42 for gas, food, a night in a cabin, and paper. They got a lot of their news about different areas from filling station attendants. Once again, Laura’s humor winks in places. She described seeing a group of signs along the road that said, “For the land’s sake, eat butter.” When they stopped to eat, she wrote, “I had bacon and eggs and coffee, bread, and for the land’s sake ate the best butter I’ve tasted” (p. 305). She waxed a bit more philosophical in this journal. She and Almanzo and those they visited also did some sight-seeing. One interesting stop was observing the carving of Mount Rushmore in progress. The narrative ends near the end of the trip, where they stopped to eat and call Rose to say they were nearly home. Laura noted that though she didn’t keep up very well with the accounting, the trip cost “$120 for 4 weeks and 2,530 miles” (p. 344) for the trip to De Smet and back. These two books have been packaged together with West From Home, Laura’s letters to Almanzo while visiting Rose in San Francisco for the World’s Fair, into one volume called A Little House Traveler. Since I had read West From Home a few years ago, I did not read that one at this time. On the Way Home and West From Home had been published as stand-alone books, but The Road Back has only been published here. Rose had On the Way Home published a few years after her mother’s death. Roger Lea MacBride, Rose’s lawyer and heir, found the notes for the other two book in Rose’s papers after her own death. He had West From Home published and wrote the introduction. Abigail MacBride, Roger’s daughter, provided the introduction for The Road Back. It’s interesting that the mode of transportation for the first trip was a covered wagon; for the second, a train; and for the third, a car. Sprinkled throughout the book are pictures of the Ingalls and Wilder family, their homes, and some of the scenes the Wilders might have seen in their travels. At the end is a short (three-page) biography of Laura, a family tree, photographs of notes children had written to her, and a copy of her last letter to Rose. I enjoyed visiting with Laura on her travels. Even though her notes were off the cuff and not polished, I enjoyed her powers of observation and descriptions as well as her characteristic humor. Posted on February 7, 2019 by Barbara H.
Pa participates in a minstrel show in blackface. But the family enjoyed and respected a black doctor whom they credited with saving them from scarlet fever. Pamela Hill Smith has a section in Pioneer Girl explaining how blackface was viewed at the time, saying that “Before the American Civil War, many abolitionists embraced minstrelsy as a way to reach a broader American audience, and some minstrel troupes performed songs with distinctly abolitionist themes” (p. 254, note 62). It was not considered offensive then, though it is now. 1. Her books depict accurate, if not right, views of the times. Parents and teachers who use Laura’s book should discuss the larger picture. Probably most of the settlers’ negative feelings about Native Americans sprang from fear. A major massacre by Native Americans occurred during this time in history, so naturally settlers were afraid and wary. But study can be made about why the Native Americans reacted as they did and the ways they were mistreated. Our country’s treatment of Native Americans is one of the worst marks on its record. But it would be anachronistic to have the characters of the late 1800s depicting enlightened thinking of the early 2000s. The books can also act as a springboard to discussion of how times and attitudes have changed over the years. No time or culture has every aspect right. It takes long years to change cultural thinking. We don’t learn from history by excising the parts we disagree with today. Wrong attitudes can be viewed in light of the times, not to excuse them but to understand them and to trace how those attitudes have changed since that time. Society still has a long way to go, but we can look back and see that progress has been made. 2. Laura is not responsible for her father’s wrongdoing. She was a child when he made his decisions. 3. Laura’s books are historically based fiction. Some have faulted Laura for not including some aspects of her family’s history in the books and for changing some details. But the books were not meant to be completely autobiographical. Laura originally wrote her life story in Pioneer Girl, but then changed her focus to stories for children. 4. Laura’s books represent a significant swatch of American history. Through story Laura shares with us what is was like to travel in a covered wagon, build a homestead, establish a town, and so many other aspects of pioneer life. 5. Laura’s book depict strong family values like industriousness, independence, frugality, hospitality, community, resilience through hardships, thoughtfulness towards others. Every culture has its blind spots. What were some of theirs? What are some of ours? Every person and culture has good and bad points. What were some good and bad attitudes in the Little House books? (Good: industriousness, frugality, hospitality. Bad: wrong views of other races, Laura’s wanting to “get back” at others, particularly Nellie Olsen). What led to the hostility between settlers and Native Americans? How could things have been handled differently? Look at how far society has come in its thinking about other races over the years. But our racial attitudes on an individual and national level are still not what they should be. How can we grow in this area? Were there any signs in the books that attitudes were changing? (For instance, Laura’s family was treated by a black doctor at one time. Pa interacted with the Indians sometimes, assured Ma it was fine to do so, and in The Long Winter believed an Indian who came to warn the white men that a bad winter was coming). 7. Laura’s writing is realistic, not idyllic. Some have charged Laura with painting the pioneering family and life as idyllic. But…locusts? Blindness? Bilzzards? Wolves? Fire? Drought? Lack of food and resources? No, nearly every book deals with some kind of calamity. And Laura even realistically depicts sibling squabbling and parental tension. 8. Laura’s writing is excellent. Her stories would not have been read and loved all these years if they were not readable and enjoyable. 9. If we stopped reading people with flaws, we wouldn’t have anyone to read. Wilder — an amazing writer who poignantly and vividly depicted a crucial part of American history — deserves to remain honored as an icon of American children’s literature. By all means, let’s pair reading her with conversations about America’s past and what was right and what was not and what remains debated. But let’s encourage critical thinking, not purging. Historical Perspective or Racism in Little House on the Prairie? Posted on February 1, 2019 by Barbara H.
It’s time for the Laura Ingalls Wilder reading Challenge for 2018! The basic idea is to read anything by, about, or relating to Laura Ingalls Wilder during February, the month of her birth and death. I have an extensive book list here if you’d like some ideas beyond the Little House series, but if course the Little House series is delightful to read or reread. In the comments below let us know what you’re planning to read. On Feb. 28 I’ll have a wrap-up post where you can tell us how you did and what you thought, either in the comments or with a link back to your posts. You don’t have to have a blog to participate, but if you do I’d appreciate your linking back here. Sometimes participants have done projects or made recipes from the series as well. If you do so, please do share with us! Annette at Little House Companion has some activities and other resources. If none of those suits you, I can substitute a similarly-priced Laura book of your choice. To be eligible, leave a comment on the wrap-up post at the end of the month telling us what you read for this challenge. I’ll choose a name through random.org. a week from then to give everyone time to get their last books and posts finished. This year I am planning to read On the Way Home, written by Laura as she, Almanzo, and Rose traveled from South Dakota to Mansfield, Missouri, and The Road Back, in which Laura and Almanzo traveled back to De Smet for a visit. How about you? Will you be joining us this year? What will you be reading? Posted on January 28, 2019 by Barbara H.
With all that we’ve had going on lately, Feb. 1 is sneaking up on me. With the month of February comes the annual Laura Ingalls Wilder Reading Challenge, which will take place February 1-18. The idea is to read anything by or about Laura Ingalls Wilder during the month of February since her birth and death both occurred in February. I posted a Laura-related book list here, if you’re looking for something other than the Little House books. Some have also incorporated some LIW activities during that month! It’s not required, but I love to see and hear about it. I’ll have a sign-up post here on February 1st. You can join in any time during the month. You don’t have to have a blog to participate, but if you do, I welcome you to post about the books you read or any activities you might do, and/or post a wrap-up of your LIW reading at the end of the month and link to our wrap-up post here on Feb. 28. If you don’t have a blog, you can let us know in the comments on that post what you read. No need to share now what you are going to read: you can save that for our sign-up post Friday. 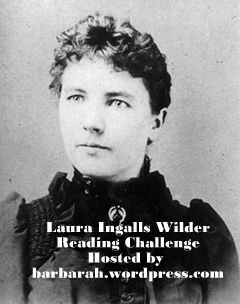 I just wanted to give you a heads-up that the Laura Ingalls Wilder Reading Challenge is coming! Update: this year’s sign-up is here! Posted on July 14, 2018 by Barbara H.
How (Not) to Discover Your Spiritual Gifts, HT to Challies. Five Things I’d Tell My Newlywed Self. A Slanderous Charge. Far from promoting racial prejudices and stereotypes, the Little House series shows a different side. Posted on June 30, 2018 by Barbara H.
How to Avoid Becoming (Heavenly) Hangry on Vacation. What Your Child Needs More Than Self-esteem, HT to Story Warren. A Parent’s Guide to the 5 Skeptics Who Want to Shame Your Kids for Being Christian, HT to Challies. When You Don’t Enjoy the Little Years. Even though you love your little ones dearly, some days are hard. Can I Trust God With My Child’s Suffering? HT to True Woman. How to Bring the (Whole) Bible to Life for Kids, HT to True Woman. Though I chafe at the phrasing of the title (the Bible IS living – John 6:63), I know what the author meant, and there are some great ideas here. When the Content Police Came for the Babylon Bee, HT to Challies. Hope for People With Food Allergies, HT to True Woman. The Real Story of Christopher Robin, HT to Glynn. Sad, but I hope on some level the family retained some joy that the Pooh stories were such a dear part of many people’s childhoods. Several people have asked me if I’ve heard of the recent ruling to remove Laura Ingalls Wilder’s name from a literary award. I’m not surprised, especially in today’s climate. There were characterizations and incidents in the books that we cringe at today. But I hope this does not lead to a pulling of her books from shelves or reading lists. We encounter what we would consider wrong attitudes in a number of older books, even classics. If we tossed books that had anything in them we disagreed with – well, we wouldn’t have much left. It takes long years to change cultural thinking. The better way, I believe, is to realize that every person and every generation is a mixture of good and bad and to educate about both sides. A couple of good articles I’ve seen on this are Scrubbing Laura Ingalls Wilder is a Dangerous Step Toward Ignorance (HT to Melanie) and How to really Read Racist Books to Your Kids, (HT to 19th Century Classic Children’s Books You Might Have Overlooked, which I found through Story Warren). I wouldn’t agree with every point in the latter (mainly the evolutionary lens), but both articles make good points. I usually like to close these posts with a funny or thoughtful picture or meme – but I don’t have one handy and need to get on to today’s tasks, so I’ll wish you a Happy Saturday! Posted on March 7, 2018 by Barbara H.
Congratulations to Rebekah for winning the Laura Ingalls Wilder Reading Challenge this year! Thanks to all of those who participated. I hope you enjoyed it as much as I did! I already have plans for next year! Posted on February 28, 2018 by Barbara H.
It’s the end of February and that means the end of the Laura Ingalls Wilder Reading Challenge for this year! A week from today I’ll use random.org to draw a name from the comments on this post to win either The Little House Cookbook compiled by Barbara M. Walker or Laura’s Album: A Remembrance Scrapbook of Laura Ingalls Wilder by William Anderson, or a similarly-priced book related to Laura. A week should give some of us who are still reading time to finish up and post about our reading. You don’t have to have a blog to participate: you can tell us what you read in the comments here. If you have a blog, you can either let us know what you read in the comments or share the links back to any reviews or challenge-related posts from your blog or even from Goodreads if you review books there. Before I go any further, I need to apologize for something. I had created a book list of books by, about, or somehow related to Laura. Some of them I had not read but had heard about or seen. Two of them turned out to have objectionable content. I have removed them from that list, and I feel terrible that some of you chose those books, probably because of seeing them on that list. I am going to be much more careful about that in the future, and, once again, I sincerely apologize for having books with serious problems on a recommended book list here. For my own part, I did have to lay aside one I was reading: Death On the Prairie by Kathleen Ernst. It’s a modern-day mystery involving a quilt that might have been owned by Laura, might even have been made by Laura, being given to a historic museum curator named Chloe. She decides to go with her sister, with whom she had not been close lately, on a tour of all the Laura historical sites to consult with others and see if she can find out more information plus, as per the owner’s wishes, decide which of those sites to donate the quilt to. But early on a mysterious death occurs at the first site, which I assume later on is discovered to be a murder, and that somehow involves Chloe. I was irritated by some bad language (damns and hells), and then bothered by some vulgar words, and finally an appearance of the “f” word caused me to shut the book and give up on it. But it wasn’t grabbing me anyway. The writing was a little juvenile in places (one example: “Oh-boy-oh-boy-oh-boy! Chloe thought with giddy glee,” p. 6) and not great in others (“Something quivered beneath Chloe’s ribs, as if one of her heart-strings had been plucked,” p. 8). And, then, it was inaccurate in at least one place: when Chloe visits the site in Burr Oak, Iowa, the tour guide tells them this segment in the Ingalls’ life, where they manage a hotel next to a saloon, is neither in the books nor the TV series. It’s not in the LH books, but it is in the TV series, in season 5. The town is called Winoka there rather than Burr Oak, and the Dakota Hotel rather than the Masters Hotel, and the timing may have been different, but they are definitely helping in a hotel next to a saloon. Anyway, for all of those reasons and a couple more, the story just wasn’t grabbing me, but the language was “the last straw” that made me put it down. It’s too bad, because it sounded like it would have been good. Most of the reviews I’ve seen are positive, so a lot of other people liked it better than I did. The First Four Years by Laura, about her first four years of marriage. The manuscript was found among her papers after her death and published later after Rose’s death. They had quite a rough go of it at first, but in true pioneer spirit they summon the strength to persevere. I quite enjoyed rereading this. I looked through several of the My First Little House books, designed for 4-8-year-olds. I have not reviewed them nor had a chance to show them to Timothy, but Rebekah has an excellent review here (where I first learned of them!) They are gorgeous, illustrated by Jody Wheeler and Renee Graf, “inspired by the work of Garth Williams with his permission.” I am so glad they kept with a similar style of the books that many of us grew up with. I have not read each of the thirteen books word for word yet, but from what I did read and what Rebekah said, they seem to follow the books very closely, except, of course, for being condensed and adapted for a younger child. So that’s my Laura reading this year. 🙂 A few years ago, I thought I might end the challenge with the last book in the LH series, but I have found more LIW books that I want to read, so we’ll look forward to continuing on next year! In the meantime, I am looking forward to finding out what you read and what you thought about it! Posted on February 1, 2018 by Barbara H.
If neither of those suits you, I can substitute a similarly-priced Laura book of your choice. To be eligible, leave a comment on the wrap-up post at the end of the month telling us what you read for this challenge. I’ll choose a name through random.org. a week from then to give everyone time to get their last books and posts finished. Death On the Prairie by Kathleen Ernst, a modern mystery set around some of the places Laura lived. Last year I bought a set of My First Little House Books, after reading Rebekah’s wonderful review. I haven’t even opened them yet, but I want to look through them and hopefully see if Timothy might sit still long enough to look at one or two. 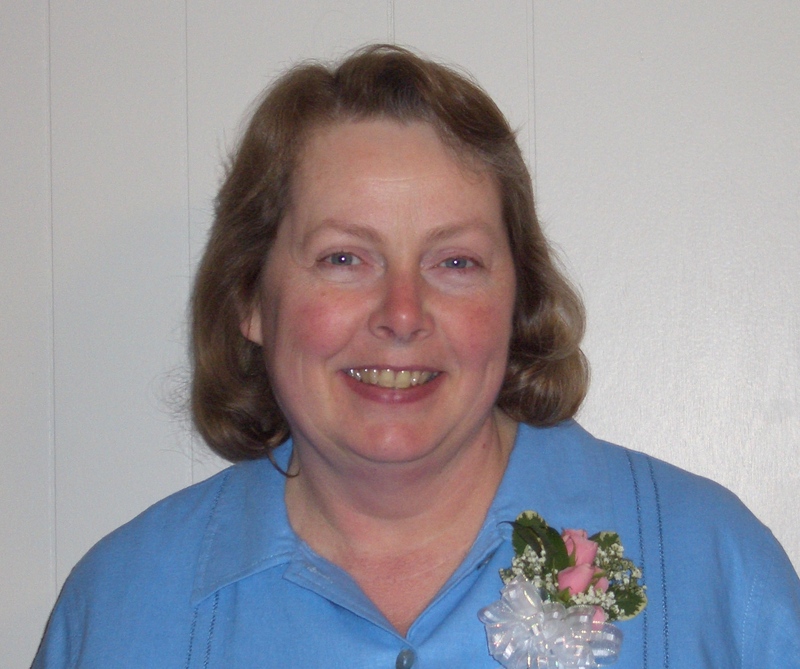 I'm Barbara Harper, a "middle-aged" wife and stay-at-home mom who loves to write about my family, funny or interesting things I see, and things God has taught me. Can Frugality Go Too Far? What does it mean to magnify the Lord? Join us for the Laura Ingalls Wilder Reading Challenge each February. !